In addition to positive and negative electrodes typically found in battery systems, the UCLA device includes an electrode with the ability to either store electrical energy or use it as a catalyst for water electrolysis, the process by which hydrogen and oxygen atoms are split from a water compound. To increase the device’s efficiency, the researcher team maximized the surface area upon which water makes contact. This additional surface area then allows greater production of hydrogen as well as increased energy storage. Although commercial production of hydrogen has often proven to be costly and carbon intensive, the usage of ever-cheaper and clean solar power could change the game. The materials used in the UCLA device to create hydrogen, such as nickel, iron, and cobalt, are also significantly cheaper and more abundant than precious metals like platinum typically used in the process. Finally, the device, powered by the sun, is designed to be accessible even in isolated areas, thus increasing the viability of hydrogen as a fuel source for vehicles on long trips. Although the current model can be held in the palm of one’s hand, the principles behind the device may be applied at a greater scale. 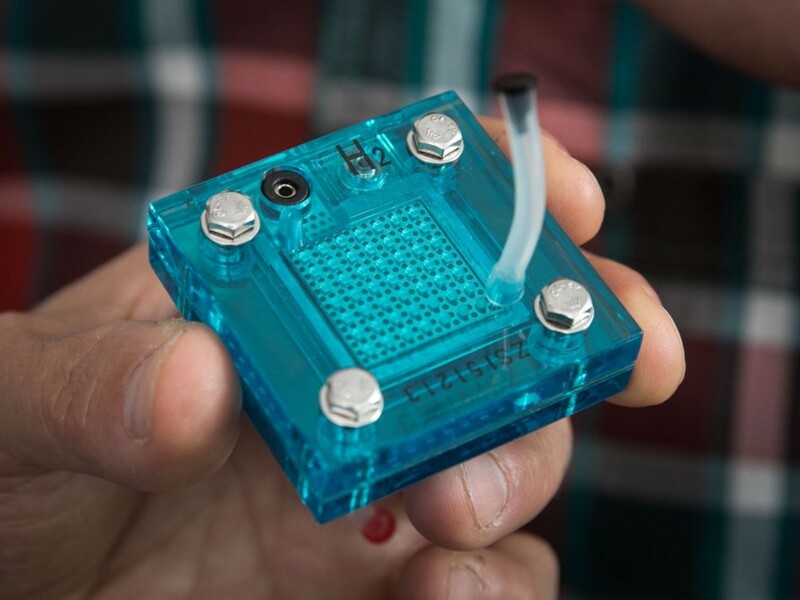 The UCLA hydrogen hybrid device enables more efficient storage of energy and incorporates solar power. 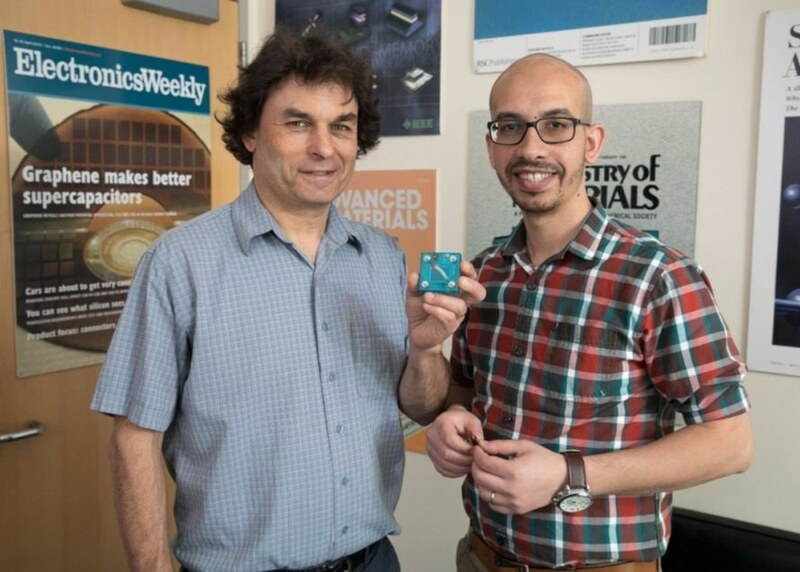 The UCLA hybrid device team of Richard Kaner and Maher El-Kady.